Set back from the street, this home is nestled away showcasing a private setting, yet is located in the heart of Prescott. This rare find of a home sits on an over half-acre homesite in the Prescott Heights neighborhood. 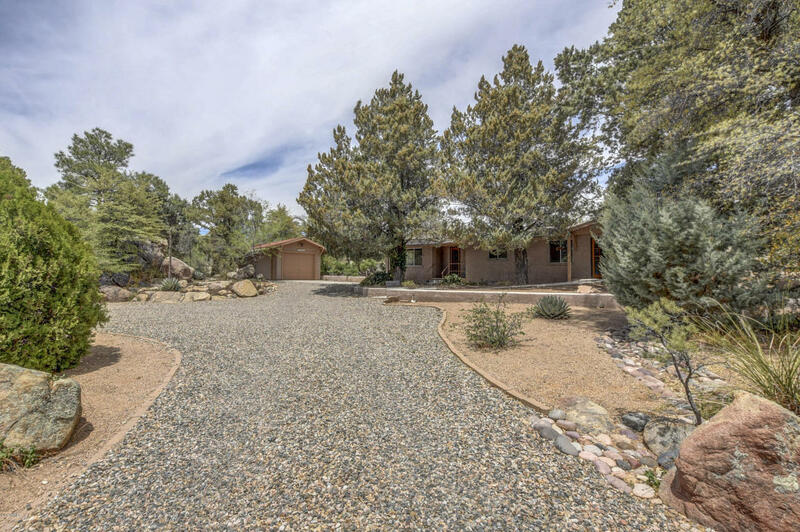 A single level 1813 square foot home with 3 bedrooms, 2 bathrooms, an office and a charming great room has a one-car detached garage along with 2 back patios boasting of privacy and adorned with boulder outcroppings. Surrounded by lush landscaping and a circular drive, this home was remodeled in 2007 with some updated plumbing, some electric, heater, air conditioner, kitchen, bathrooms and much more and had a new roof (will be) put on in July 2018.